Moving out of town? Long distance moves can be extremely stressful. It is no small task to pack up all of your belongings and start over in a new city. At King’s Transfer we understand the potential stresses and work tirelessly to simplify things for our customers. Packing, crating, storage and anything else – we work to accommodate your specific needs. Whether you are moving across the country, internationally or even overseas, King’s Transfer can move you there. When moving long distance, the importance of the finer details are amplified. Everything from receiving an accurate estimate, to how your belongings are packed and how your belongings are packed away into the moving van can impact customer satisfaction at the destination, at King’s Transfer we focus on the details. 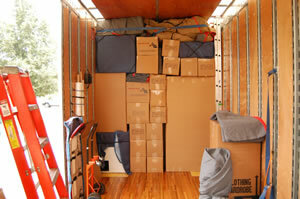 When you move long distance, it is very important to hire a mover you can trust. You can trust your belongings with King’s Transfer and our award winning service.